It’s almost Summer (well, if you close your eyes and pretend it’s above 10 degrees outside, not raining and not April). Summer means one thing to many – CAMPING. How many of us have spent countless holidays on campsites pretending to love the fresh air, forced jollity and really not wishing we were in a 5 star hotel, having emerged from a hot bath and about to sink into freshly laundered sheets? 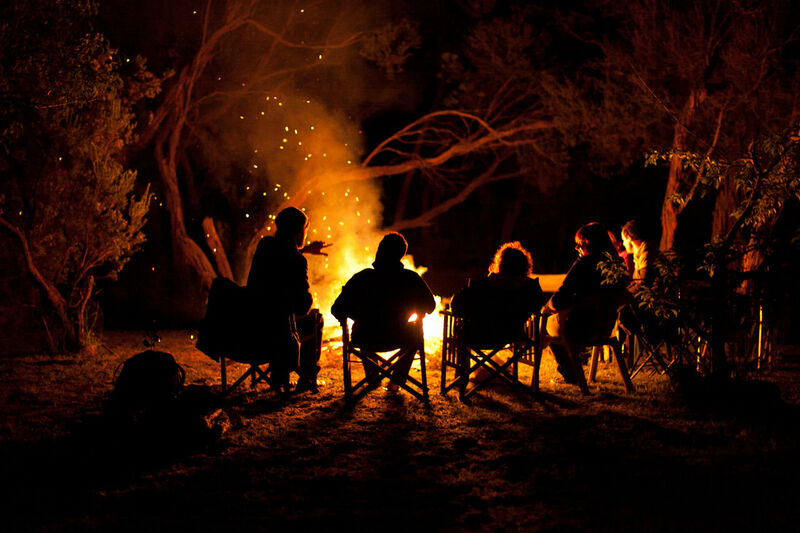 Here are 15 facts you’ll immediately recognise if you’re a regular camper. The people with the POSH TENT with it’s own convertible toilet two flaps away will look down on the people who fit 17 holidaymakers under a canvas shopping bag. Both of them will mock the Glampers over the other side of the field who are working out how to apply mascara with only a dock leaf for support. Doesn’t matter how Captain Mainwairing you are, you’ll always forget something vitally important like the bed rolls, waterproofs or the tent itself. If you’re a proper camper you’ll always have spares, but if you’re not, you should just give up and book into a Travelodge. It’s easy if you’re Mr and Mrs Knowitall next tent but one, who’ve been camping on this site on the same spot since 1956. It’s not easy if you’re a family of 4, the kids are whining and the dog’s just left a present on the backseat of the Ford Focus. A two man tent will fit one. If you’re lucky. A four man tent two etc. That’s if you only want to put your bodies in there and no sleeping bags. Or anything else. And don’t plan on breathing. No matter what the Met Office have forecast it will rain from the moment you step out of the car, to the moment you pack up to go home. Your tent will take the next 12 months to dry out and you will get Trench Foot. True fact. They’re basically what look like a lush, green, verdant space that actually covers a concrete hell hole, you’ll only discover this when you try and knock the tent peg in and find you can’t. They either won’t light, they go out after 30 seconds, or they create so much smoke the Red Arrows think you’re conducting an innovative ground level fly-over. No matter how carefully you pitch you’ll find you’re battling the elements all night, your canvas won’t lie flat and that there is no such thing as a “comfortable camp site with good amenities”. And by the 90 millionth rendition of Wonderwall, you’re just about getting ready to murder them with the B String. You start off showering every day, then end the holiday by slapping a bit of Wash and Go on your head and standing in the rain. Fully clothed. Handwashing becomes extinct and everyone looks like they’re auditioning for a part in Lord of the Flies. You get used to seeing a mile long snake of people all desperate for ONE loo, at 7 am every morning. You decide to make alternative arrangements with a hole at the back or Mr and Mrs Knowitall’s tent. Making a cup of tea takes a week, the kettle is too hot to handle and forget heating anything other than a can of soup up, unless you want to die of starvation. Pointless. Unless you want to spend the rest of the holiday on a drip in hospital. Previous articleHow Come Justin Bieber’s Baby Is The Most Disliked Video On YouTube? After some time out of the spotlight, the singer is gearing up to release new music and here's everything you need to know about it.